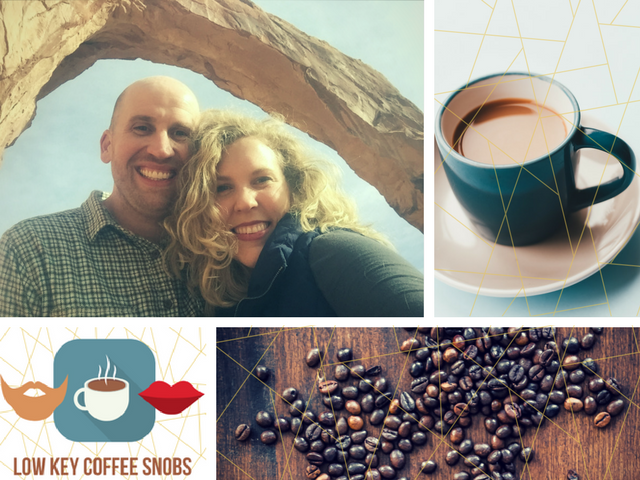 We all love our favorite coffee shop in town and have a soft spot for that amazing local roaster. But sometimes it’s nice to wake up in the morning and brew a high quality cup of coffee while at home, still sleepy-eyed. But, how can you make your home brew coffee go from “fine” to “AMAZING! 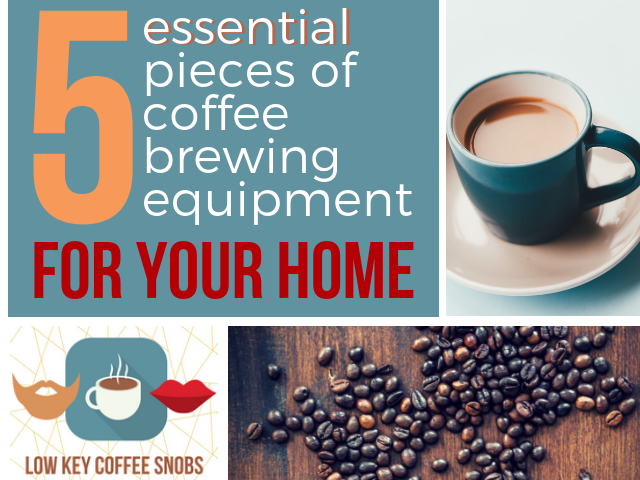 !” What pieces of coffee brewing equipment do you need to up your caffeine game at home? As it turns out, you don’t need a full-on coffee shop to make your dreams a reality. There are only a few coffee making supplies to stock up on before you’ll be sippin’ pretty in no time. Remember: No one’s judging your bedhead when you make delicious coffee at home! These coffee tools and equipment will put you on the right path towards delicious home-brewed coffee. Coffee begins to lose its freshness as soon as its done roasting, and your beans’ arch nemeses are air, moisture, heat, and light. Unless you work through a pound of coffee beans at rapid-fire speed (i.e. two weeks or less), you want to invest in a coffee storage system beyond the bag it was purchased in. A coffee container, whether made of glass, ceramic, or non-reactive metal, can put you on the right track. More than anything, your coffee storage solution should be airtight and opaque. 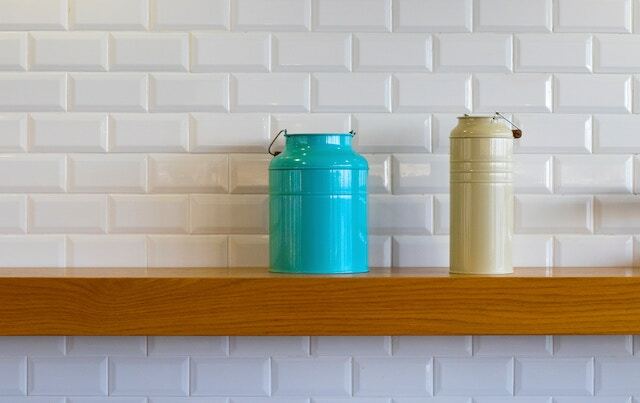 Read on for more coffee storage ideas! You can’t brew coffee at home well without the help of a scale. Coffee outcomes depend heavily on bean weight accuracy. Since beans vary in size, it’s not recommended to use a “teaspoon” of coffee per “X oz of water,” or to determine the amount of coffee to grind based on “bean count.” We’ve seen it all, but know that the easiest way to confidently brew a delicious cup of coffee on your own is to have your own digital kitchen scale. That’s why it’s one of the essential pieces of coffee brewing equipment to have at home! Invest in a digital coffee scale if you plan to home brew coffee! We mostly brew with the Oxo Good Grips 11 Pound Stainless Steel Food Scale, which we already had for kitchen weighing. 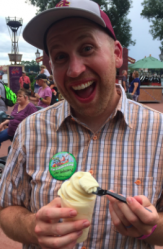 But we understand if the roughly ~$50 price point feels a little excessive to newbies. We like how accurate and user-friendly the scale is—you can even easily switch the measurements between grams and ounces. We don’t use the pull-out display function often for coffee, but it’s nice to have when we snag the scale from our coffee hutch to use for other kitchen measurements. We all know not to buy pre-ground coffee, right? RIGHT! We’d hate for your coffee to go stale at home, so we highly recommend that you keep your coffee in bean-form until right before you’re ready to brew. This will not only improve the quality of the output significantly, but also help your beans stay fresher longer. You want to buy a grinder that’s ideally electric, has size variance (you can grind at size 20 for pour overs vs. size 14 for AeroPress, for example), and is a conical burr grinder. “When you’re getting started in coffee making, most people make the chasm leap from buying ground coffee to grinding fresh with a blade grinder. 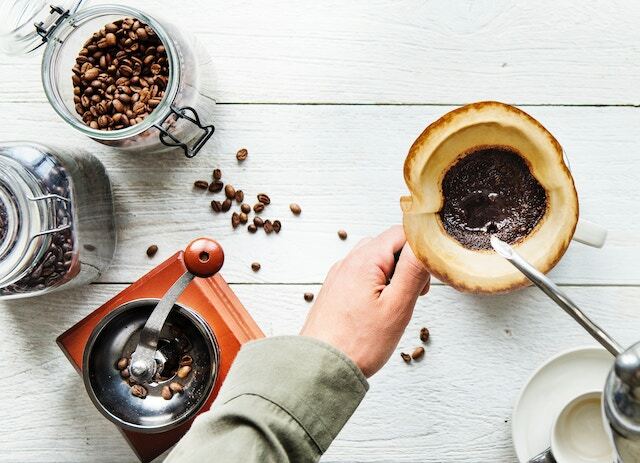 These remain the most popular and best-selling coffee grinders, and for good reasons: they’re simple, they’re cheap, and they do the job well-enough. Gooseneck electric kettles, how do we love thee? Let us count the ways. Similar to the need for exact coffee measurements, you also want to pay close attention to the exact temperature of the water that you’re using. When looking for the perfect coffee kettle for your kitchen, make sure it checks off these boxes. 1) It’s gooseneck (this allows you to control the pour more precisely). 2) Its electric (cuts a few steps out of the water-heating process). 3) It has variable temperatures (so you can easily heat to the preferred temp to achieve an optimized extraction for a given home brew coffee method). Reason #3 is essential in our home because I love to make AeroPress (recommended water temp of 185), whereas David’s brew of choice is pour over (recommended water temp of 205). 5. 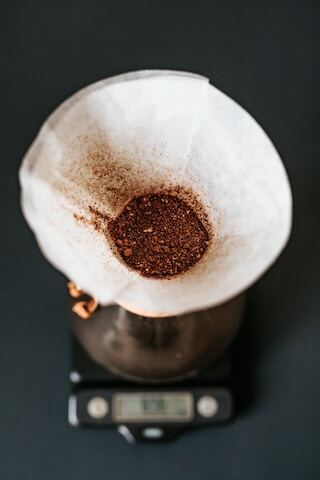 Your brew method of choice—AeroPress, Kalita Wave, Chemex, etc. This is the fun part—it’s up to YOU to determine what coffee making supplies will result in the cup of ‘jo that makes it worth getting out of bed in morning. 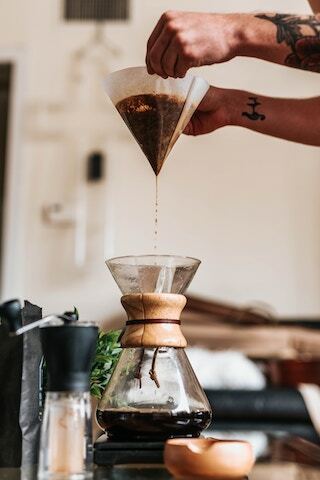 There are a bunch of different ways to prepare your coffee (we talk about the four easiest methods to brew coffee at home here), so we recommend a healthy effort of trial-and-error to find which tools work for you. These coffee making supplies are worth the investment! David did a great study on the ROI of home brewing coffee, and we found that even after the upfront investment in these different pieces of coffee brewing equipment, we were able to pay it off in less than three months! We’re really happy with the set of coffee tools and equipment we’ve stocked our kitchen with (we even have a *slightly* ridiculous hutch dedicated solely to our coffee habit!). What coffee making tools are we missing? We’re always trying to up our game, so we’d love to hear any feedback from fellow low-key coffee snobs! Life’s too short for bad coffee. We—like you—are on a journey to better understand coffee, from crop to cup. David geeks out on the science behind it, whereas Megan simply enjoys all the tastes and feels it can give you. Together, they hope to share their new findings as their friend group’s resident low-key coffee snobs (and that all starts with having the right coffee brewing equipment at home!). Subscribe to our ☕️ newsletter! We send once a month.